Ballpoint pens with technology inspired directly from the racetrack. Athletic shoes with a suspension. Glasses with six hinges instead of the normal two. Does it sound outrageous and somewhat ostentatious? Well, it is. While attending the 2011 Online News Association conference in Boston this week I stumbled upon a Porsche Design store in a local high-end shopping mall. Upon entering it became apparent the high levels of engineering and design Porsche continually incorporates into their vehicle have carried over to other product lines. Oh, did I mention price, those have carried over too. A pen, what many could consider a very basic writing utensil, Porsche regards as a stylish piece of contemporary design. Because of this the bodies of their ballpoint, mechanical, and fountain pens are all composed of a material called TecFlex. TecFlex is essentially an interwoven piece of stainless steel brake line that has been adapted to hold ink as opposed to brake fluid. When it comes to race-inspired products, the P’5510 Bounce S athletic shoes are similarly over-engineered and over-the-top. In-store prices ranged from $480.00 for the mesh version, or $600.00 for the leather-covered equivalent, these are far from a run-of-the-mill pair of Nike Shox. They might look like the Nikes, but closer inspection reveals a series of actual “shocks” on the bottom of the shoe, giving these kicks a suspension setup that would rival a F1 car. With the price reaching such levels one should be more concerned with twisting a part of the suspension than your own ankle. Ok, so the pens are made from stainless steel brake line, and the bottoms of the shoes resemble something capable of taking on the Nurburgring. However the most useful piece in the store was probably the reading glasses. No, these are not something your grandmother would wear while reading the morning newspaper. These have a total of six hinges, allowing the eyewear to fold neatly into a carrying case. Not only are these available while prescription lenses and different magnifications, they’re also practical. Their ability to fold to next to nothing makes them easy to place in your pocket or center console. If the Porsche Design store represents anything it’s the expansion of auto manufacturers. No longer are companies simply creating cars, trucks and SUV’s. Brands have branched out to create entire lifestyles for their owners and followers. From clothing and sunglasses to kitchen knives and luggage, it’s hard to find something a marque like Porsche hasn’t thought of. If your like me, you might not be able to buy a Porsche, but you can possibly buy a pen. After months of partially disguised “spy” photos and unofficial press photos, it’s finally here. Today Porsche officially released the first details and photos of the their most revered vehicle, the 911. After nearly five decades of production the rear-engined Porsche 911 has become one of the most iconic and recognizable automobiles in the world. Despite having subtle changes over the years the tradition of the 911 has remained largely unchanged. 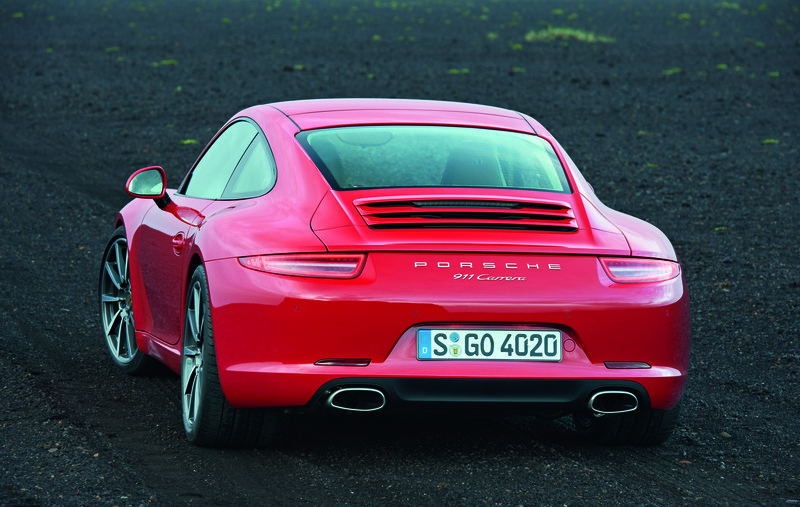 The 2012 911, designated the 991 internally, has stayed true to those roots. Although Porsche says the vehicle is “all-new”, many non-enthusiasts might claim the 991 looks nearly identical to its predecessor the 997. However, a closer look at the new 911 reveals many changes. The wheelbase has increased by 3.9 inches, along with a lower height giving the 2012 911 a more aggressive overall appearance. The weight of the body has decreased by roughly 100 pounds thanks to lightweight aluminum-steel composite materials. The new 911 also has a wider front track, new rear axle and electro-mechanical power steering, resulting in greater driving agility, response and dynamics. 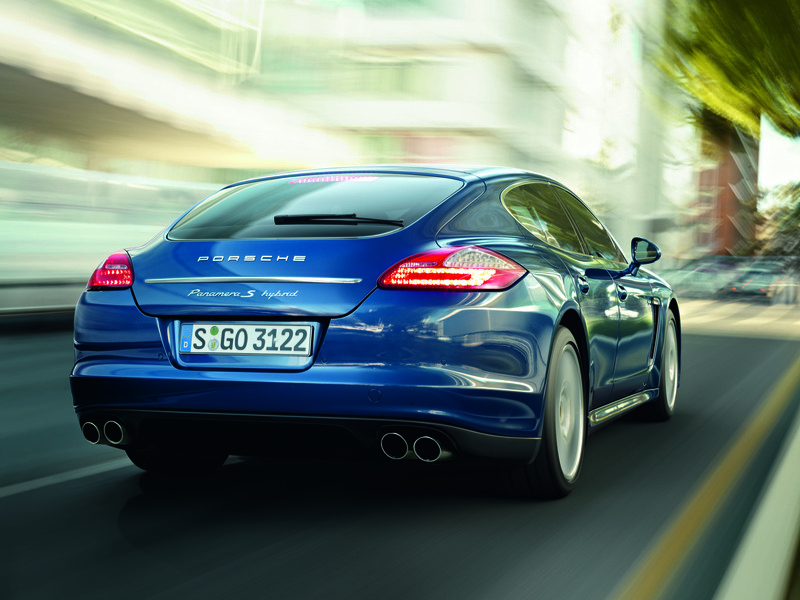 On top of these features, the new Carrera S also offers Dynamic Chassis Control (PDCC). 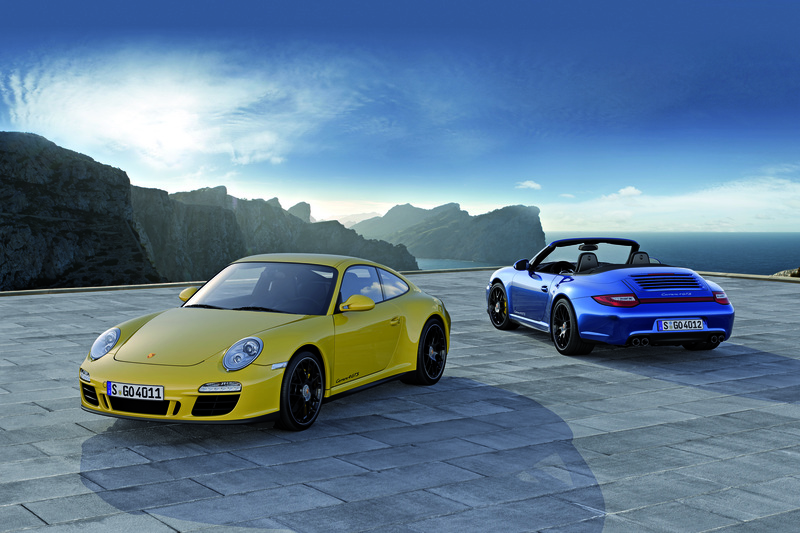 Another hallmark of the Porsche 911 is the high level of technology incorporated into each generation of the vehicle. The seventh generation is no different. According to Porsche the 991′s fuel consumption is up to 16 percent less than that of the 997. This improvement is made possible via a host of engine management systems, such as a start/stop function and electrical system recuperation. The seven-speed Porsche double-clutch (PDK) transmission also aids in the increased economy by letting the 911 “coast”. 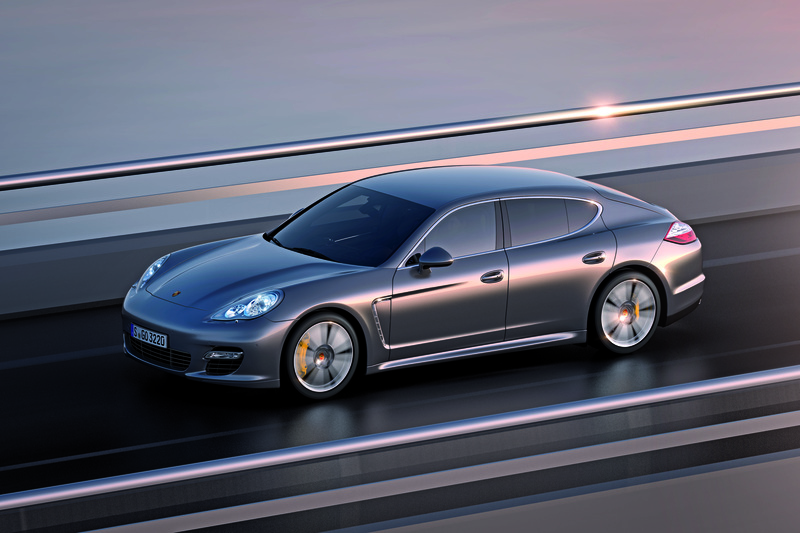 In addition to the PDK the 2012 911 will feature the worlds first seven-speed manual transmission. In terms of performance the new 911 offers more horsepower from a smaller displacement engine. 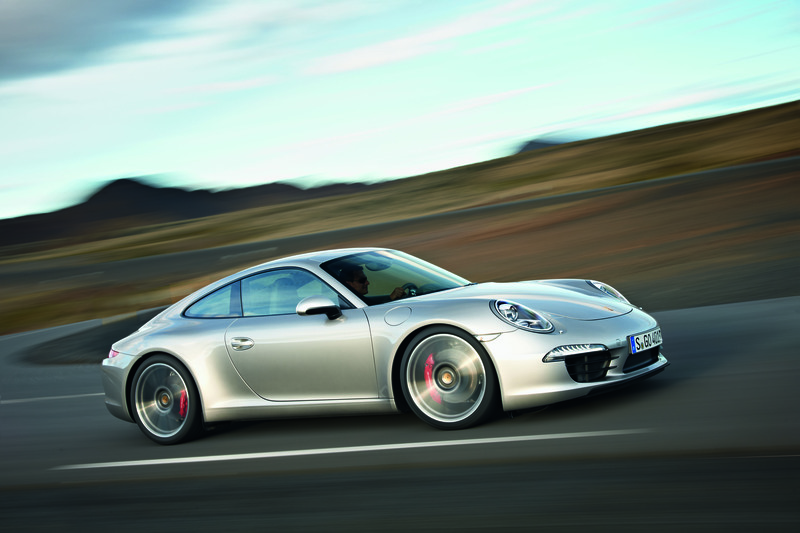 The 2012 911 Carrera is powered by a 3.4-liter flat-six engine, compared with the 3.6-liter in the outgoing model. Regardless of this reduction the horsepower remains unaffected. 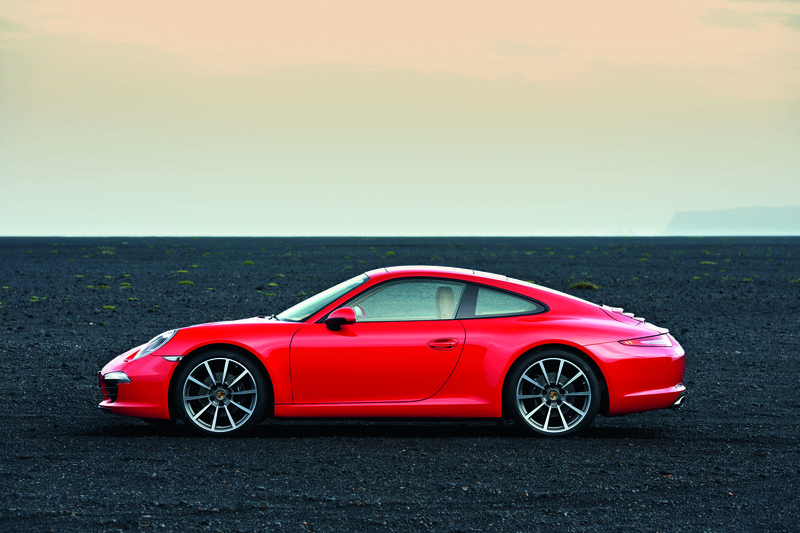 The Carrera S model still has a 3.8-liter with 15 more horsepower, boosting peak output figures from 385 to 400 hp. These changes enable the 911 Carrera to accelerate from 0-60 mph in just 4.4 seconds (with PDK transmission). Meanwhile the Carrera S does the same sprint with the PDK in 4.1 seconds. 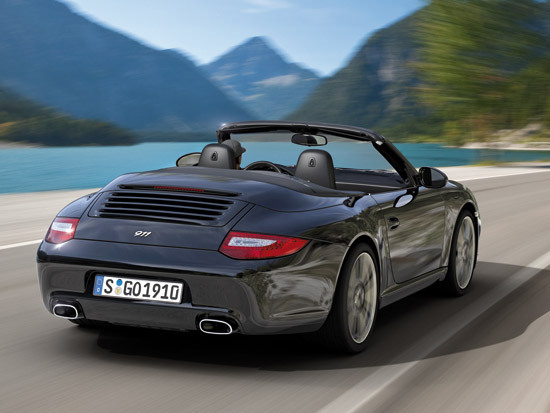 The 2012 Porsche 911 will make its world premiere at the 2011 Frankfurt Motor Show in September, and is scheduled to arrive in the U.S. beginning in February 2012. During the 24 Hours of Le Mans last month one might have noticed there was not much in the way of competition in the top-tier LMP1 sports prototype class. An Audi has claimed 10 of the last 12 overall wins at the world’s most prestigious endurance race. 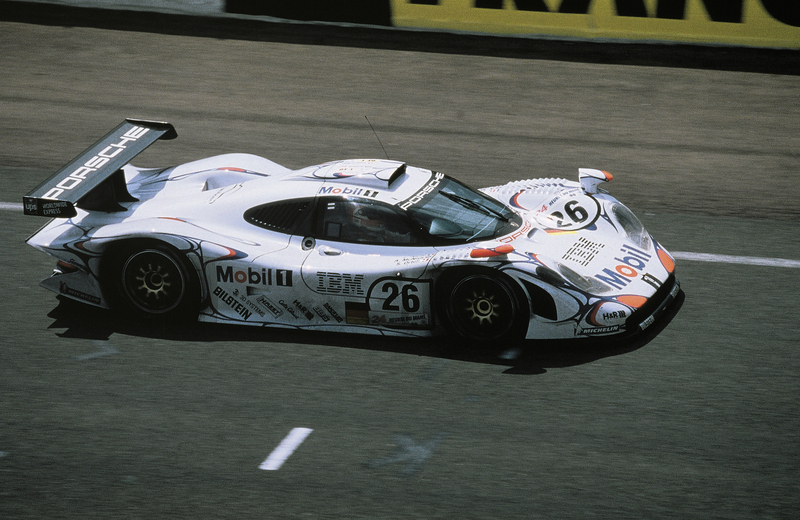 The other two overall wins went to Peugeot in 2009 and a Audi-powered Bentley in 2003. 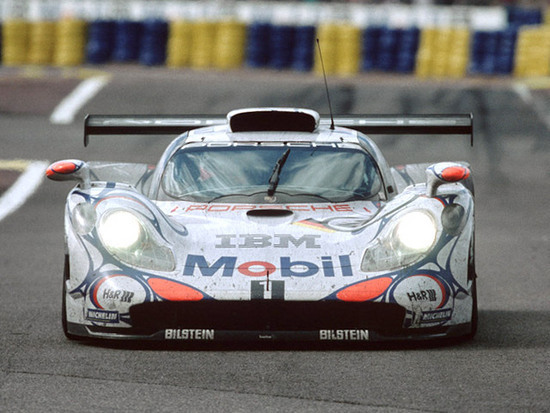 The last time Porsche took the overall at Le Mans was in 1998 when the 911 GT1, driven by Laurent Aïello, Allan McNish, and Stéphane Ortelli. Despite 13 years passing since Porsche stood on top of the podium at the famed Circuit de la Sarthe Matthias Müller, President of the Executive Board at Porsche AG said it was only a matter of time before the most successful manufacturer in the history of the race returned to once again fight for the overall title. “Porsche’s successes in Le Mans are unrivalled. We want to follow up on this with the 17th outright victory,” said Müller. The return of Porsche Motorsport to the LMP1 class should add depth and variety to a class that has become more predictable in previous years. Audi and Peugeot will now have another serious competitor to contend with. More competition in a race like the 24 Hours of Le Mans is always a good thing, especially when the new competition includes a manufacturer with as storied history as Porsche. The 997 model line of the Porsche 911 will be coming to an end this September at the Frankfurt Auto Show. However, that didn’t stop Porsche from adding one more version to their ever-expanding lineup of 22 different 911 models. Porsche unveiled the 911 Carrera 4 GTS, adding a four-wheel-drive variant to the recently released Carrera GTS. 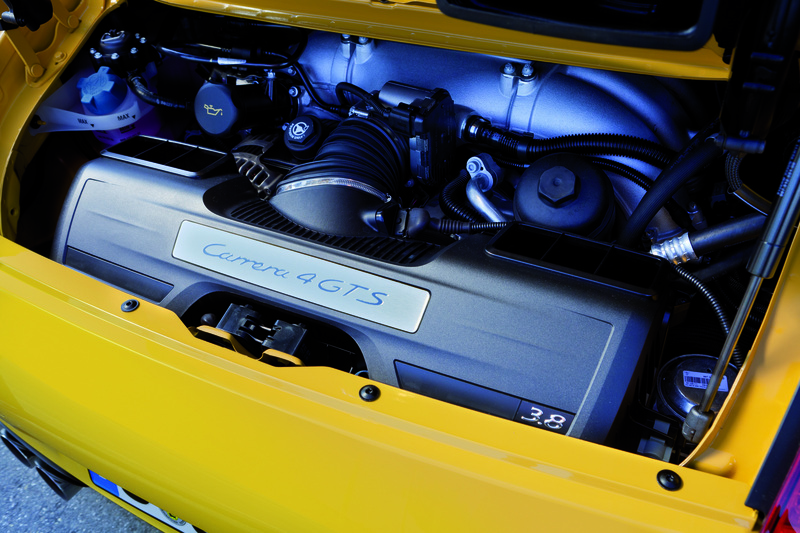 The Carrera 4 GTS has an additional 23 hp over a standard Carrera 4S. This is made possible by internal changes to the 3.8-liter flat-six-cylinder engine including: a special resonance intake manifold with six vacuum-controlled tuning flaps and a sports exhaust system with four black tailpipes finished with polished, nano-coated inner shells. This added horsepower enables the GTS to accelerate from 0-60 mph 0.1 second quicker than the regular 4S. 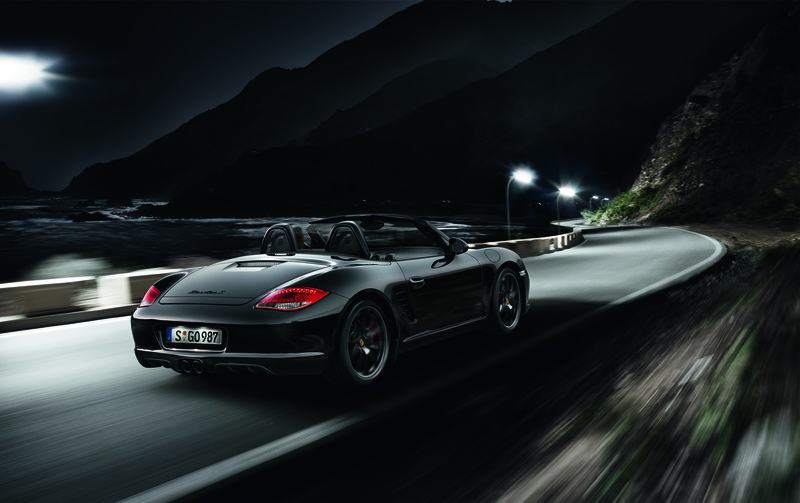 The optional PDK transmission and Sport Chrono Package Plus enables the GTS to accelerate from 0-60 mph in 4.0 seconds. The manual coupe GTS also and has an increased top speed of 187 mph (186 with PDK). The exterior and interior accents are primarily black. The exterior is adorned with black side skirts from the 911 GT2, a black panel between the rear tailpipes and 19-inch RS Spyder design wheels, painted in high-gloss black. The interior is covered in black Alcantara on the center sections of the standard sport seats and on the rim of the three-spoke steering wheel and on the gear and handbrake levers. The Carrera 4 GTS will go on sale starting in the fall. The Carrera 4 GTS coupe will have a base MSRP of $110,200, with the Carrera 4 GTS cabriolet starting at a slightly higher base price of $120,100. Well, Porsche has done it again. After releasing the 911 Black Edition, then the Boxster S Black Edition, it’s only fitting that Porsche would apply it to yet another one of their model lines. 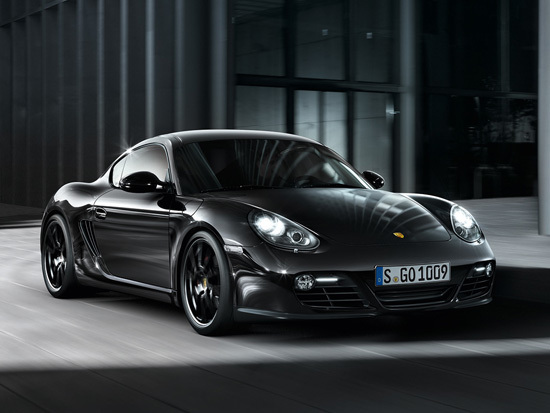 Today Porsche announced the creation of the Cayman S Black Edition. Like both the 911 and Boxster S variants, the Cayman S Black Edition will be a limited production vehicle, with only 500 units produced worldwide. As with the other two variants, the goal of the Cayman S Black Edition is to offer added horsepower, exclusivity and a long list of equipment at an affordable price. But is this special Cayman S really worth the added sticker price? Well, to start with the Cayman S Black Edition gets an additional 10 horsepower from the 3.4-liter six-cylinder engine. The engine, which produces 330 horsepower enables the Black Edition to accelerate from 0-60 mph in 4.6 seconds, with the optional PDK transmission and Sports Chrono Package, as opposed to the manual transmission which covers the same distance in 4.8 seconds. A vehicle equipped with the PDK transmission also gets the added bonus of launch control and various shifting modes. If your particular color preference happens to be well, black, then you’re in luck. This Cayman S is only available in said color, and as with all Black Edition models, is covered from head to toe in black accessories. The car gets 19-inch Boxster Spyder design wheels, painted black of course, and also features side intake grills, model designation badge and it’s exhaust pipes with the same special treatment. The interior features black leather with trim pieces finished in aluminum and stainless steel. In the end the Cayman S Black Edition is very similar to its two siblings. All three have very similar changes and feature many of the same upgrades. However, whether or not this limited production Cayman S is worthy of the added cash is ultimately up to the individual. The 2012 Cayman S Black Edition has a base MSRP of $67,500 and will start arriving in U.S. showrooms later this summer. This improvement is possible because of weight reduction. With carbon fiber sport bucket seats, carbon fiber front fenders and luggage compartment lid the GT3 RS 4.0 weighs in at only 2,998 lbs (full tank of fuel). Other cosmetic changes include large rear wing and speical “4.0″ badging on the engine lid and lower left-hand corner of the doors. 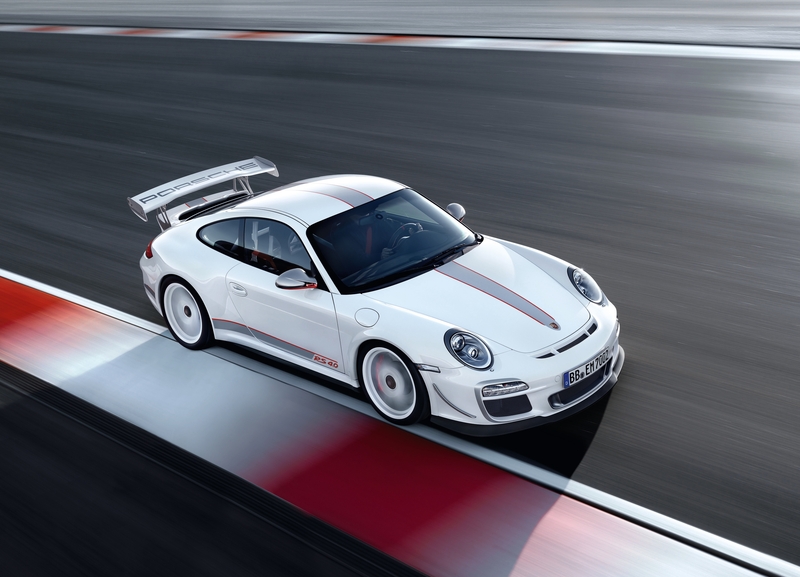 The GT3 RS 4.0 also has a unique gray line, with red accents running from the nose of the hood all the way back to the rear. If you think a Panamera Turbo is just not fast enough, then your in luck. Porsche has announced the new Panamera Turbo S will make its first official North American debut next month at the 2011 New York International Auto Show. The Panamera Turbo S separates itself from the regular Panamera Turbo courtesy of various performances enhancements that have been made throughout the vehicle. The turbochargers have been enhanced with lighter titanium-aluminum turbines, resulting in quicker engine response. With these changes the Panamera Turbo S has a peak output of 550 horspower, as opposed to the 500 from the Panamera Turbo. The torque has also increased from 516 lb-ft to 553 lb-ft. Torque can be increased even further for short periods of time when “Sport” or “Sport Plus” modes are engaged. The Panamera Turbo S can accelerate from 0-60 in just 3.6 seconds, four tenths quicker than the Panamera Turbo. The exterior of the Panamera Turbo S features new 20-inch Turbo II wheels with increased rear axle track width, while the interior offers new leather color combinations, including a standard bi-color leather finish. 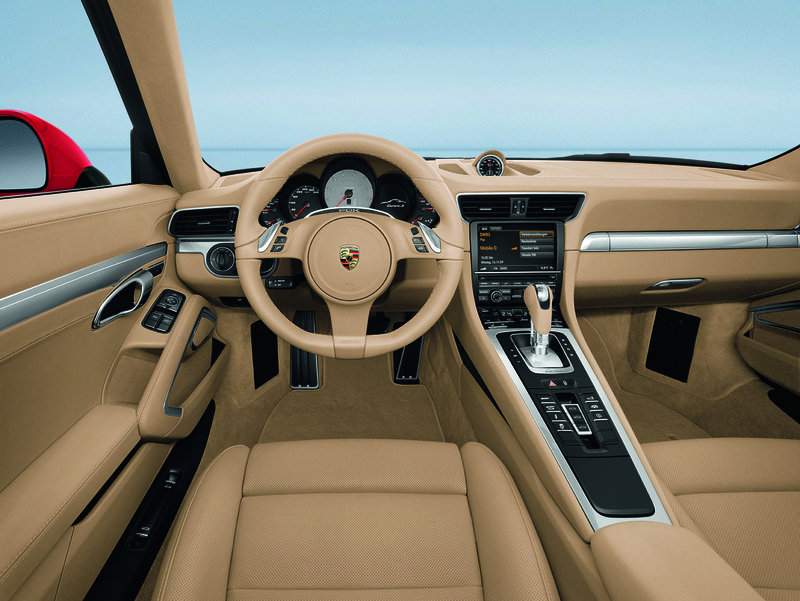 Optional black and cream leather interior is unique to the Panamera Turbo S. Gray and cream optional interior will appear later in the year. 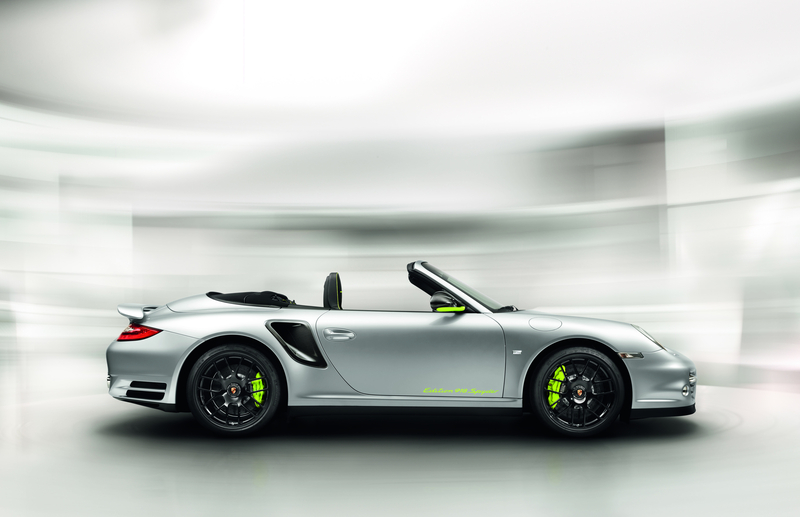 The same gray color is available as an exterior color via Porsche exclusive. The Panamera Turbo S goes on sale in the U.S. later this spring at a base MSRP of $174,175. 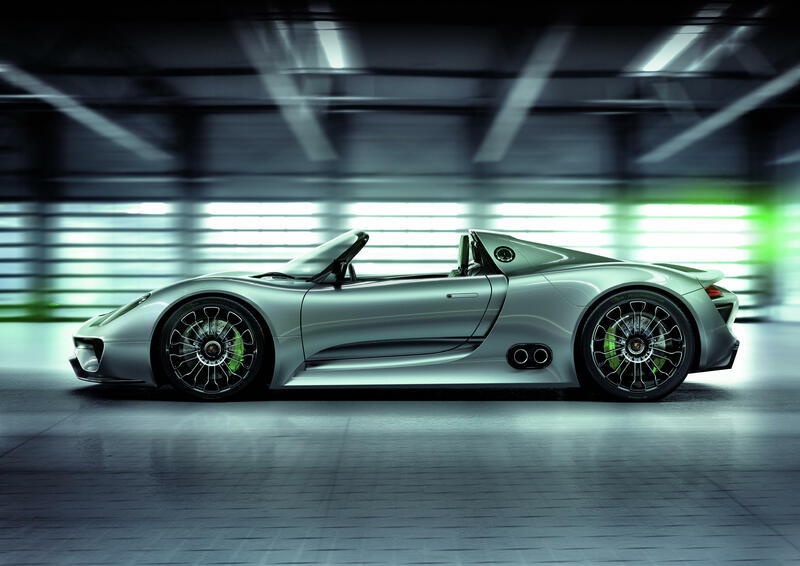 Gemballa, the famous Porsche automotive tuner has produced their first vehicle since renaming the company Gemballa GmbH. The all-new Tornado, which is based on the Cayenne 958 and 957, utilizes high amounts of carbon-fiber to reduce weight of the vehicle and improve its overall performance. 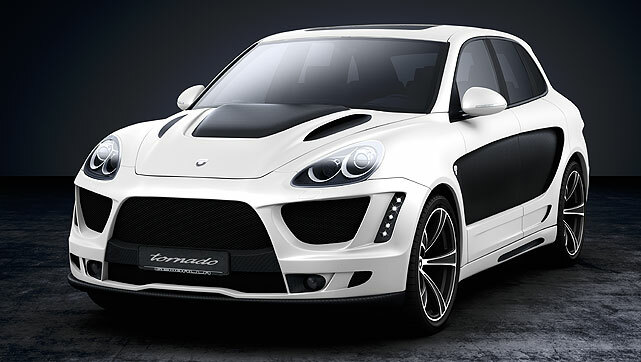 In comparison to the factory Cayenne, which is totally composed of steel body panels, the Gemballa Tornado that only has four steel panels: the body, rear quarter panels, roof panels and hatchback. The rest of the vehicle is entirely made in lightweight, highly strong carbon-fiber, resulting in 154 lbs of weight savings. In addition to being lightweight the Tornado is also extremely powerful. The Tornado has a 35-40 percent horsepower increase over the stage one Gemballa Cayenne Turbo conversion, which produces 580 horsepower. This gives the Tornado between 675-700 horsepower, thanks to a stage two engine upgrade. This upgrade also gives the Tornado a 30 percent increase in torque, with 737 lb-ft.
Gemballa plans on producing on 30 examples of the Tornado, in commemoration of 30 years in business. High-end auto manufacturers are always trying to get a leg-up over the competition. Manufacturers are constantly debuting updated or slightly tweaked versions of already existing vehicles or creating special editions of a particular model, creating a renewed interest and in-turn, new customers. But are these special editions really worth the inflated sticker price they command? Case-in-point, the new Porsche 911 Black Edition. The special variant costs an additional $3,500 compared to a run-of-the-mill 911 Carrera coupe, and $2,500 over a Carrera Cabriolet. Surely you get some special or exclusive goodies for the extra money, but what are they, and do they give enough bang for the buck? The 911 Black Edition exterior is painted in “Solid Black” and has other components matched to fit the exterior’s overall look, including black brake calipers, 19-inch 911 Turbo II wheels with a two-tone finish, and a “911” badge on the trunk lid. The interior features some special characteristics too, such as a limited edition plaque on the glove box and “Black Edition” stainless steel door entry guards, but other features are available to anyone ordering a regular 911 Carrera. These include a black interior with aluminum trim pieces and black instrument dials. The real section of the center console painted black and the car has Porsche Communication Management (PCM), a Sport Design steering wheel and a Bose surround sound system.